You have many choices for services before or after the cremation takes place. The suggestions below are only some of your choices. Our funeral and cremation professionals will explain your options to you, so you can select what's best for your family and your situation. Just like a traditional burial service; with the remains present for visitation and for the ceremony, except the cremation will follow instead of burial. A cremation casket (casket that is designed to be cremated) or a rental casket can be used for the viewing. A gathering or visitation without the remains present. The urn is often present; however it does not have to be. Many families personalize the visitation room with photographs and mementos to reflect the life of the deceased. 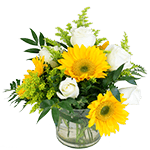 We can produce a memorial DVD video for you which would play during the gathering. A service conducted by an officiant (often religious, but it does not have to be), with music, scripture, poems, message, readings, or remembrances of the deceased. The urn may be present if you wish. The most basic disposition service. We transport your loved one to the crematory and prepare necessary papers and secure permits. You may elect to plan your own memorial service at a church, park, home, or other gathering place. Similar to our Graveside Service with only family members in attendance when the urn is buried or placed in a columbarium niche. Family members often gather together, informally, for a land or sea/river/lake scattering of the cremated remains. 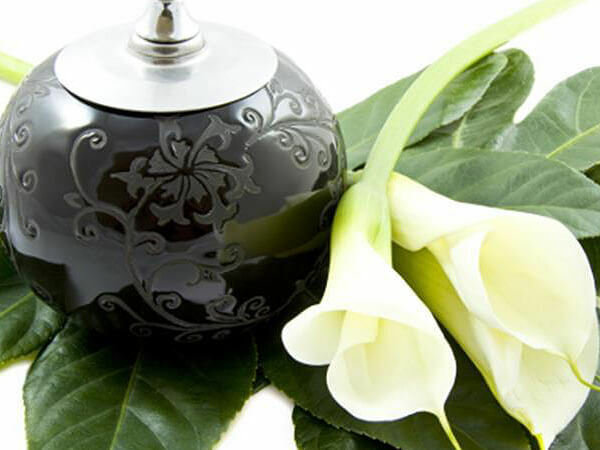 There are urns that are specially designed for scattering. No religious services are involved in this choice.